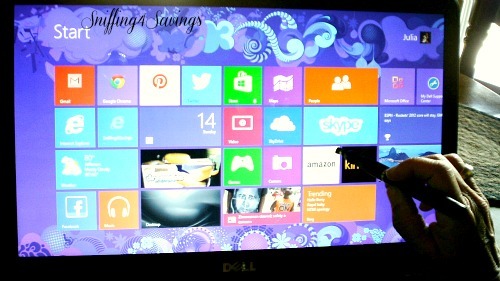 Did you know that if you are running Windows 8 you can turn it in to a touch screen? Wow… I know, right! Just use a simple plugin and you’ll be touch and go! 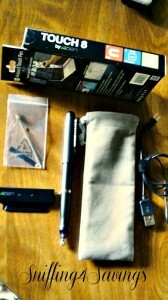 Sniffing4Savings received the APen Touch 8 for Review and a Giveaway. 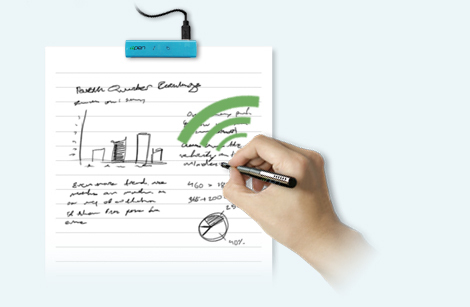 Learn more below and enter to win an Apen Computer Touch Screen plug-in below! Good luck everyone! If you have a computer, desktop or laptop (under 17″) running Windows 8, the APen Touch 8 gives you the ability to turn your system into a Touch Screen! Sign documents, make notes, play games, do drawings, add your personal touch to pictures and more! Then share them across your social networks, great for home, school and business projects. My old computer crashed and I was forced to purchase a new one. in looking I noticed although Windows 8 supply’s the ability to have touchscreens readily available in some computers, the price jump compared to a computer without touchscreen was huge! The APen Touch 8 allows this feature at a fraction of the cost, just $79.99! Now I am by no means a so called “techy” so I loved the “plug in and go” set up! This device clips on to the side of your computer and plugs in to the USB port to give your older Windows 8 computer “touch” functions in seconds. A simple walk thru to “calibrate” the pen and that’s it! Ready to use! This is a way to turn your existing old Windows 8 computer into touchscreen capable, at a fraction of the cost of a new touch screen computer. I think that’s pretty cool, as I love sharing ways to save money but enjoy what we love. The Apen Touch 8 by eFun is available for an affordable $79.99, visit here at Newegg.com to order yours online now. You can also find more informationhere, at APenUSA.com, along with other models that are available. Great Back to School gift, or stash it away for a Christmas Gift!! Thanks to the generosity of APen we are having a giveaway! Remember even if you are not using Windows 8 OS at the moment, life happens and like me you just may find yourself with a new computer with it!! So Enter the Giveaway and be ready to go Touch Screen capable! Giveaway is Open to US & Canada Residents 18+ , Starting 7/25/13 @ 11:00 PM EST Ending 8/1/13 @ 11:00 PM EST. Prize is the responsibility of the sponsor only, not Sniffing4Savings or the bloggers helping to promote. I would gift it to my niece. She is going to college and it would come in handy for her. I want it. Sounds awesome. I’d love to keep it if I won. I’ll so be using this myself!! I will use it myself if I ever get Windows 8. I would keep this for myself! My laptop runs Windows 8 but is not touch screen. The apen would be a Godsend! My favorite feature would be just having most apps and programs to operate they way they are meant to on Window 8. I would totally use this. I’m going to be retiring and plan to travel, need a way to stay intouch with those at home.. this would be perfect ! great prize. I always wanted to win. I would keep this and use it with my tablet! I would keep it for myself, momma needs something for herself every now and then. I would use it, this is the coolest thing ever! I would love to use this in a paint program. I will use the pen myself. I think I will use it but my son will claim it. i would keep it and use it myself. I’d keep this for myself. Thanks so much for the chance!